I've never been much of a bed maker. I get up and kind of throw the sheets back somewhat in place. Just never seen a need for a nice looking bed. Like the comedian Jim Gaffigan said "it's like tieing your shoes after you took them off." 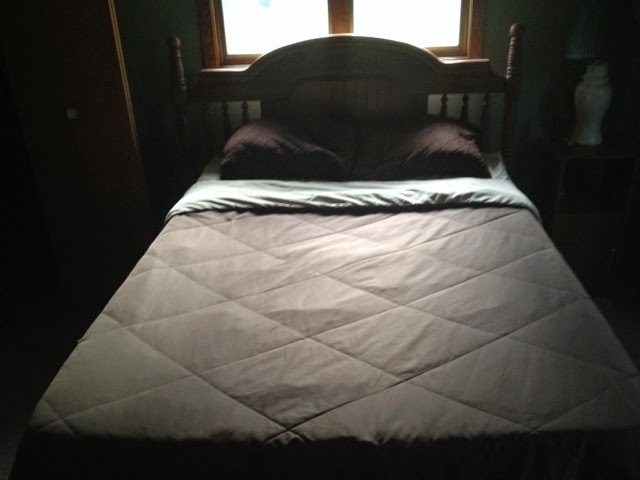 But for the last week or so, I make my bed right away in the morning. Kind of a motivation thing. Right away I complete a simple task and I see immediate results and I start the day with a small victory. Weird as it is, it seems to be working for me. One quick small accomplishment gets my day going.